World Cancer Day, is observed internationally to raise awareness and encourage prevention of cancer. Like every year, brands have tried to raise awareness with their creatives & campaigns. Cytecare Cancer Hospitals was the show-stealer of World Cancer Day campaigns. The campaign has straightforward communication with a man holding cards, each with an important message, the background score goes well with the video too. The simple words on the white cards educates it’s viewers, how one should converse with a cancer patient. As while being overwhelmed with the pile of emotions and saying something that might hurt the patient unintentionally may be common. 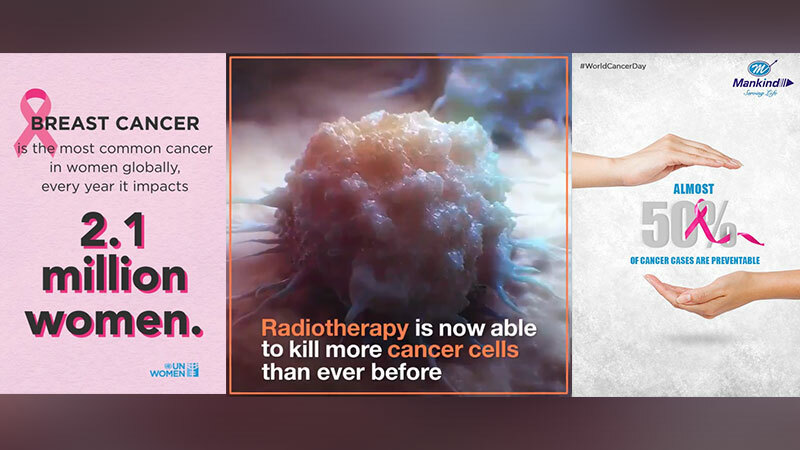 United Nations stressed on the fact that Radiotherapy is now be able to kill more cancer cells but it’s availability is very less. Especially in the places it is most needed. And UN Women informs us that Breast Cancer impacts 2.1 million women globally. World Health Organization(WHO) apprises us about ways to prevent cancer. Check out the brands talking working towards the awareness. This Cancer Day #makeasmartmove by quitting tobacco, before life quits on you.